Are Head Lice the Same as Body Lice? Adults are about the size of a sesame seed, around 2-3 mm in length and brownish in color. You can see them attach to the hairs of the head near the base of the hair shaft and they go to the scalp to lay eggs. Adults are slightly longer than head lice, 2.3-3.6mm in length. Still, they’re very similar in appearance. They are also brownish in color and have two antennae on their heads. Body lice aren’t found in the same locations as head lice. In fact, they only go to the human body to feed. These are caught when you come into close contact with infected people, especially their hair. Head lice cannot jump or fly, instead, they crawl from one host to another. Even objects, such as clothes, hats, combs or brushes seldomly transmit lice as the lice die within a day without human blood. Body lice can spread via direct contact and through contact with items that are carrying the lice. As previously mentioned, body lice don’t stay on the body, they dwell in items such as clothing, bedding and towels, only making their way to the body to feed. Who is at Risk of Catching Lice? Head lice occur primarily among children of preschool and elementary school age. Since direct, head-to-head contact is the main way the lice are transmitted, young kids at school are most likely to get infestations. According to the CDC, 6-12 million infestations occur each year in the U.S. to children. More girls get head lice than boys because of their long hair, which is easier for the critters to climb on to. Even though head lice are common it’s treatment has come a long way from at home pesticide infused formulas. Your local head lice center can clear your family of head lice with one FDA approved all-natural treatment backed by a 45-day guarantee. While body lice usually require direct person-to-person contact, the creatures tend to thrive in crowded conditions, messy environments and on those with poor hygiene. People in places like homeless shelters and other crammed dwellings are susceptible to body lice infestations, which can spread quickly in such conditions. These are the main differences between head and body lice. Be sure to check for these before deciding to go to your local head lice center. For further questions and assistance, contact Fresh Heads Lice Removal today. We are a science-based head lice treatment center that kills head lice and their eggs using only heated air. This is completely pesticide and chemical-free single treatment that kills head lice and their eggs with no follow up necessary, guaranteed! https://freshheadsliceremoval.com/wp-content/uploads/2018/10/dreamstime_xxl_124528867-1-OG-Resized-min.jpg 600 900 FreshHeads https://freshheadsliceremoval.com/wp-content/uploads/2018/04/FH_LCA_Logo-1.png FreshHeads2018-10-24 15:51:012018-10-24 15:51:01Are Head Lice the Same as Body Lice? Are you worried about a head lice infestation? It is a real risk for adults and children alike, so here are common head lice symptoms. These signs can help you determine whether-or-not professional head lice removal is needed. If others can see lice on your head, or if there are lice on your hand after scratching, then the conclusion is self-evident: You most likely have an infestation and could use treatment immediately. Nits are lice eggs which typically are laid on your hair shafts. Incubating nits are tiny, so they are usually difficult to see. Nits are easier to see when they’ve hatched because they become lighter in color. Nits are easiest to see around the ears and the neck’s hairline. Seeing some nits does not mean that there is an ongoing infestation, as they could be from a prior episode. Scratching your head frequently, despite not having a history of eczema or dandruff? If it’s not those common scalp conditions, then it may be lice. Their bites cause an allergic reaction sometimes resulting in open sores. Sores can also be caused by prolonged scratching at the scalp. Do you feel things crawling around on your head or your hairline? This is also a common lice symptom. Feeling lice crawling on your scalp with painful sores can make it hard to fall asleep. If the infestation has gotten to this point, you need to get your scalp checked as soon as possible. If it’s not lice, it might be something else that could still need medical treatment. Studies have shown that many children who do not have active infestations still get treated for lice resulting in unnecessary exposure to chemicals and unneeded expenses with over the counter products. This is due to false alarms and uncertainties, which is why it’s important to consult a head lice professional. If you or a loved one is experiencing several of these common head lice symptoms, err on the side of caution and consult with a professional to find out the cause. Our professional head lice removal process uses the only FDA-cleared medical device† empowering parents and caregivers with the safest, most effective method to clear your family of head lice. We dehydrate the lice and eggs in a single treatment without the use of harmful toxins and pesticides. Book a revolutionary lice treatment at one of our locations today. Head lice are persistent parasites that usually affect school-aged children due to their close proximity to one another. Unfortunately, head lice can go undetected for some time since they are tiny and move so quickly. That’s why regular head checks and use of natural head lice treatments are so important when there are young kids at home. Here’s what can happen if head lice are left untreated. A bacterial infection of the skin and the tissues beneath the skin. The types of bacteria that typically cause this infection are Staphylococcus and Streptococcus, but various bacteria can cause cellulitis. Symptoms include redness, pain, tenderness, swelling and warmth of the impacted area. Antibiotic treatment is required for cellulitis, which is not contagious. Natural head lice treatment at the first sign of head lice can help prevent infection. Impetigo is a skin infection that is sometimes associated with untreated head lice. It is a bacterial skin infection that is more commonly seen in children. Impetigo is contagious and is caused by staph and strep bacteria. Symptoms include a rash accompanied by either small blisters or a dark, tan colored crust that forms after the blisters burst. Antibiotics can be used to treat impetigo. An infection of the hair shaft, piedra infection is possible when a head lice infestation is left untreated. This type of infection is relatively rare and causes hardened nodules on the affected hair. It’s caused by a yeast-like fungus called Trichosporon and is not typically contagious. Symptoms include nodules, brittle hair, pain, and itching. Antifungal creams, shampoos, and oral antifungal medications are used to treat this type of infection. While infections are certainly caused for concern, the most common complication of untreated head lice is a recurrence. Using a natural head lice treatment to rid your child of lice is the first step. Additionally, it’s critical to ensure that lice are removed from all clothing, furniture, and bedding. If not, it will reappear before you know it. Lice spread rapidly, with it only taking a little over a week for a louse to lay more eggs. Checking your child’s head frequently in the weeks after treatment can help you make sure you stay in the clear. The most effective way to make sure your child’s head lice is treated is with Fresh Head’s AirAllé treatment. This FDA-cleared device successfully destroys lice and nits with heat. The one-hour treatment is so effective, it comes with a 45-day retreatment policy to guard against recurrence! Don’t let head lice go untreated in your home. Call us for more information or to schedule an all-natural head lice treatment at one of our locations in Jacksonville, Jacksonville Beach, Orlando, and Savannah. Fresh Heads Lice Removal’s Lead Technician provides you with tips on how to check your child’s head and scalp for head lice. For more tips and instruction on how to fight head lice, click here. Inquiring Minds Want to Know: Is It Head Lice or Is It Something Else? Dandruff is the shedding of dead skin cells from the scalp. Other scalp residues may be due to conditions such as eczema or seborrhea. A louse is a sesame-seed-sized wingless insect; a bug with six legs. Varying in color from beige to gray, a louse moves on its own. Unlike dandruff or any other residue from a scalp condition, a louse crawls. A nit is a louse egg. It will be located on the hair shaft. A nit is attached to the hair shaft with a waterproof, glue-like substance. 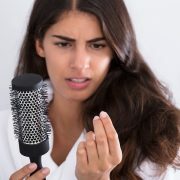 Unlike dandruff, “hair cast”, or any other residue from a scalp condition, an untreated nit will not slide along the hair shaft when tugged between fingertips. Nor will it simply just fall out of the hair and off of the head. Many conditions can cause the scalp to itch. When a louse bites the skin, the saliva causes an allergic reaction that causes itching. Unlike dandruff or any other residue from a scalp condition, it also causes the scalp to “tingle”. Dandruff flakes or other scalp residues will be removed easily when brushing or combing the hair. Nits, on the other hand, are not removed easily until after the hair is treated. A special fine-toothed comb is required. Nits are fairly symmetrical; dandruff and other scalp residues, not so much. Dandruff flakes, sand, and other scalp residues can be anywhere on the head. Initially, nits are located close to the warm scalp, moving only as the hair shaft grows. If all of this information has you scratching your head and wondering what’s what, a call to the experts at Fresh Heads Lice Removal can go a long way toward easing your mind by giving you a correct and thorough assessment of your situation. We will send you home happy… no matter what! Fresh Heads Lice Removal serves Jacksonville FL, Orlando FL, Savannah Ga, and surrounding areas. If you are interested in the AirAllé™ treatment and would like to find a Lice Clinics of America location near you, click below! https://freshheadsliceremoval.com/wp-content/uploads/2018/04/FH_LCA_Logo-1.png 0 0 FreshHeads https://freshheadsliceremoval.com/wp-content/uploads/2018/04/FH_LCA_Logo-1.png FreshHeads2015-08-24 19:11:452018-10-02 11:03:25Inquiring Minds Want to Know: Is It Head Lice or Is It Something Else? How Can I Tell If My Kids Have Lice? Nothing strikes fear in the hearts of mother’s everywhere like Head Lice. 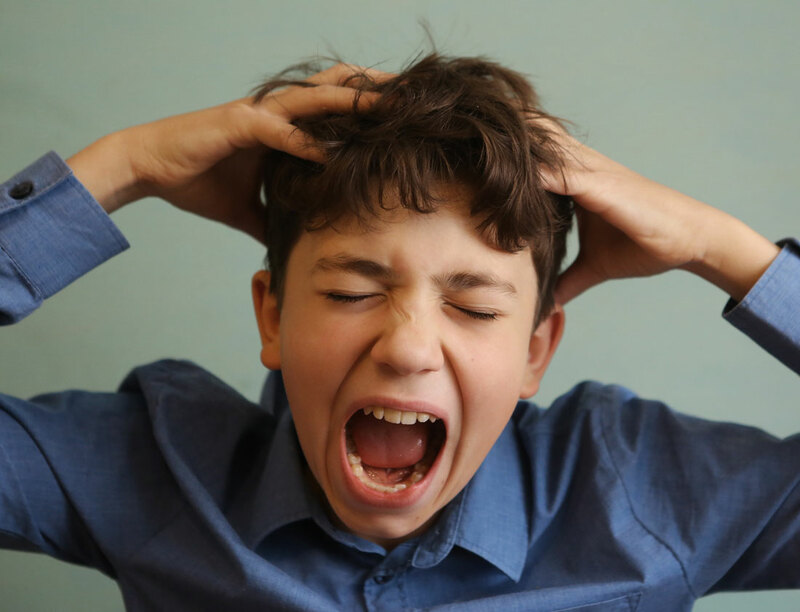 Just the mention of the words will leave you scratching your head, and many parents list head lice as ‘their worst nightmare.’ Although head lice don’t carry diseases or cause illness, this pesky problem can wreak havoc on your home. So, how can you tell if your child has lice? It can be tricky, especially if you don’t know what you are looking for. One of the biggest problems with head lice is that there are so many misconceptions about it. Head Lice can happen to anyone, regardless of social class or cleanliness. It is almost always passed via direct head-to-head contact, not from sharing hats or brushes or going to the movies or on a plane. Young children are more susceptible, because they don’t have personal space needs like older children and adults do, and their heads are more likely to touch. What are the signs of head lice? Many people think that excessive scratching is the first sign of a head lice infestation, but actually, many people don’t itch for two or more weeks after they have contracted the first bug. In fact, by the time your child is itching, they most likely have already had lice for several days or weeks. Your best bet in identifying head lice in your child is to check their heads often, once a week is ideal. You are much more likely to find eggs or nits that you are a bug. Nits are dark brown in color when they are new and viable, and can turn clear or white when they are older and no longer viable. You should look for small, dark brown bubbles that are firmly attached to the hair shaft, less than half an inch from the scalp. If you see things that appear to be stuck to the hair shaft, but they are white and they will slide easily under your fingertips, this is NOT lice. A nit will feel like a hard speed bump under your fingers and will not slide down the hair shaft without using your fingernails. Some children develop a rash at the base of their neck, and yes, eventually they will start itching. Of course, you can always delegate the checking to the experts at Fresh Heads Lice Removal. Our head checks are incredibly thorough! If you would like peace of mind, please give us a call and schedule your checks! https://freshheadsliceremoval.com/wp-content/uploads/2018/01/Natural-head-lice-treatment.jpg 533 800 FreshHeads https://freshheadsliceremoval.com/wp-content/uploads/2018/04/FH_LCA_Logo-1.png FreshHeads2014-12-08 21:01:292018-11-07 14:54:53How Can I Tell If My Kids Have Lice? A crawling sensation on your scalp—Many people will notice a crawling sensation before they begin itching. 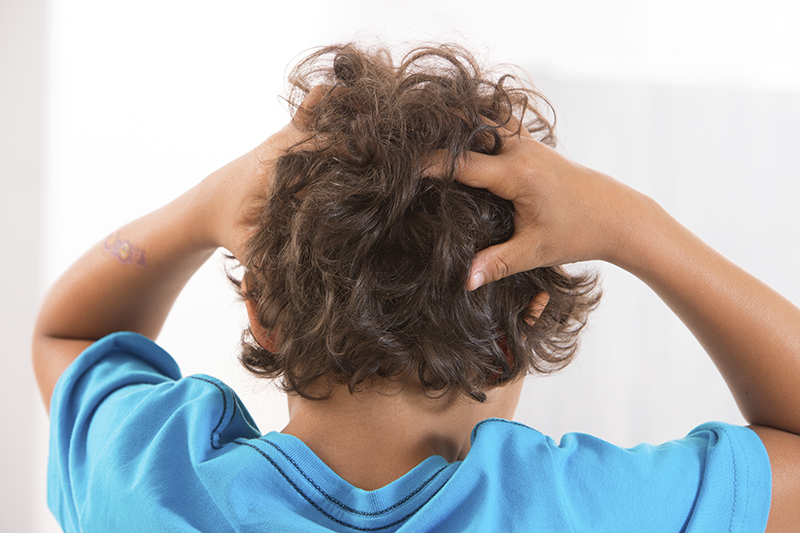 Itching—Although it usually doesn’t happen immediately, eventually your head will start to itch if you have head lice. The bugs are biting your head every 4-6 hours (YIKES! ), and the more bites you get, the more your skin will react. A Rash at the Nape of the Neck—Some people with head lice will develop a rash at the nape of the neck, and many will seek the advice of their dermatologist. Usually, the dermatologist will make the head lice diagnosis, and send them on to Fresh Heads Lice Treatment Center. Irritability or Difficulty Sleeping—Left untreated, head lice infestations can become severe enough to disrupt your sleep. Sores on the scalp—Due to excessive scratching, a person with a more severe or untreated case of head lice may develop open sores on the head. This secondary infection is the only recognized medical condition that can come from having head lice. Of course, it is best to catch a lice infestation before it begins, and the best way to do that is to check your children’s heads frequently. Fresh Heads Lice Removal recommends that you check heads once per week. If you think you have found lice, or are unsure about what you are looking for, please call Fresh Heads for a professional lice check. Taking care of the problem immediately at a professional lice treatment clinic will drastically reduce the chances of having it spread to the rest of the family. https://freshheadsliceremoval.com/wp-content/uploads/2018/06/A-boy-in-need-of-head-lice-removal-scratches-his-head.jpg 841 1100 FreshHeads https://freshheadsliceremoval.com/wp-content/uploads/2018/04/FH_LCA_Logo-1.png FreshHeads2014-07-10 19:35:322018-11-07 13:46:42What are the Symptoms of Head Lice? 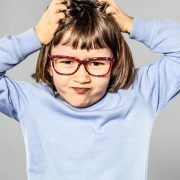 If you get a notice from your child’s school about head lice or one of your children’s friends has a case of head lice, many people don’t always know exactly what to look for when checking their child’s head for lice. For example, how do lice eggs differ from dandruff? What is the difference between lice, lice eggs (or nits), and dandruff? Fresh Heads Lice Removal of Jacksonville knows that if you are looking at your child’s head, you might see some white flecks in your child’s hair. They are often very small, so how do you know what you are looking at? How can you tell the difference between whether they are lice eggs (nits), dandruff, live lice insects, or just hair debris? First, let’s start with head lice. A single louse insect is small and tan to grayish-white to brown, depending on its age. An adult louse is about the size of a sesame seed and has six legs that allow it to move very quickly in a head of hair. Next, the main difference between lice eggs (or nits) and dandruff is that lice eggs are firmly glued to the hair shaft; they are tightly stuck to the hair, and will not slide down the hair shaft under your fingertips. Additionally, nits are typically dark brown in color, especially when they are new and viable, not white as many people believe. Dandruff will either flake off or slide on the hair underneath your fingertips. Dandruff is a common form of skin eczema, also called Seborrheic dermatitis. It is thought to be caused by an overproduction of oil by the skin, and it is called dandruff when it affects the scalp. Dandruff looks like thick, flaky, skin and it’s usually white to yellowish in color. 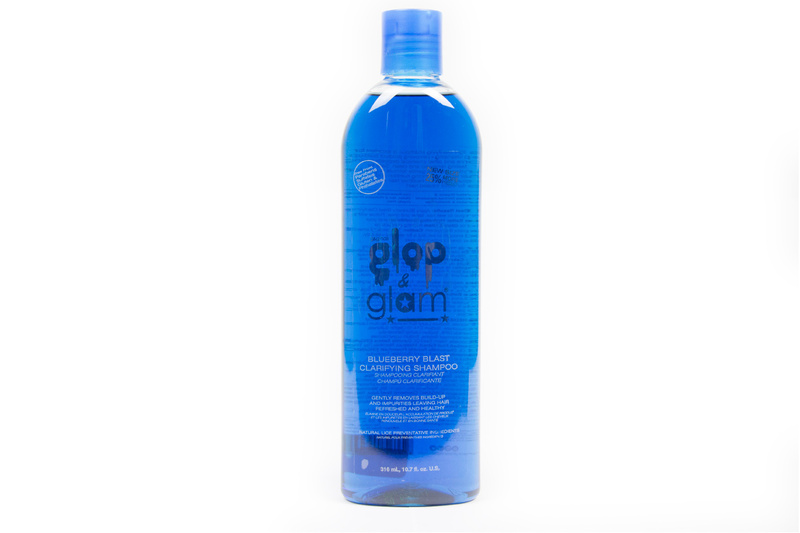 It can be localized patches or it can be in various parts of the scalp. It also can cause red, irritated skin. Lice eggs (nits) are dark brown and firmly attached to the hair shaft, and very small. When pried off a hair shaft, a nit will always look like a small oval with a tail coming off the end. They always take the same shape, which helps us to properly identify them. Older eggs or nits that have already hatched will remain glued to the hair shaft even though they are no longer viable. These old nit casings are empty, and may appear to be further down the hair shaft, and can turn a clear color, and sometimes white. They are still difficult to remove, and would not slide underneath your fingertips. Fresh Heads Lice Removal wants to remind you that nits (lice eggs) can really be very difficult to see. If you are finding small specks that are hard and dark brown in color, and if they will not slide underneath your fingertips, you may have head lice. If this is, in fact, the case, then you will want to seek treatment right away. On the other hand, dandruff is usually not that hard to see. If you brush on the hair and the flakes easily fall off, then you might try some over-the-counter dandruff shampoos. Fresh Heads Lice Removal Center advises that one of the best ways to tell if your child has lice eggs or dandruff is to use the fingertip test: If you can slide it under your fingertips, it is not lice. If you must use your fingernails to pry something off of the hair shaft, it is likely lice, and it is time to contact Fresh Heads Lice Removal. https://freshheadsliceremoval.com/wp-content/uploads/2018/04/FH_LCA_Logo-1.png 0 0 FreshHeads https://freshheadsliceremoval.com/wp-content/uploads/2018/04/FH_LCA_Logo-1.png FreshHeads2014-05-12 17:54:422018-10-01 15:52:41What is the Difference Between Head Lice and Dandruff? The CDC estimates that every year between 6 and 12 million school-aged children will contract head lice. That is as many as 1 in 5 kids, between the ages of 3 and 11! YIKES! I actually never had lice as a child, believe it or not. But, I remember my mother losing her dang mind whenever we were exposed. She would tear the house apart, cleaning everything from the drapes to the mattresses. If you are a mom of school-aged kids, you know the drill. The call comes in, usually a few hours after you picked your daughter up from the slumber party, her best friend has lice. Or you get the dreaded note in the backpack, a child in your son’s class has been diagnosed with head lice…Again. So how can you tell if you’re the child has it? The sad truth is, it can be very difficult to tell for the first week or so. When you first contract head lice (which almost always happens through direct head to head contact) you probably have one very small bug, hiding out very close to or directly on the scalp, amid a very full head of hair. If the bug is a female, it will lay 8-10 eggs per day. These eggs, formally known as nits, are TINY! If your eye is unfortunately trained, you will have a better chance. If you don’t know what you’re looking for, you’ll need some help. At Fresh Heads, we begin our head checks with a comb out. We have found that a great nit comb is more effective than our eyes. 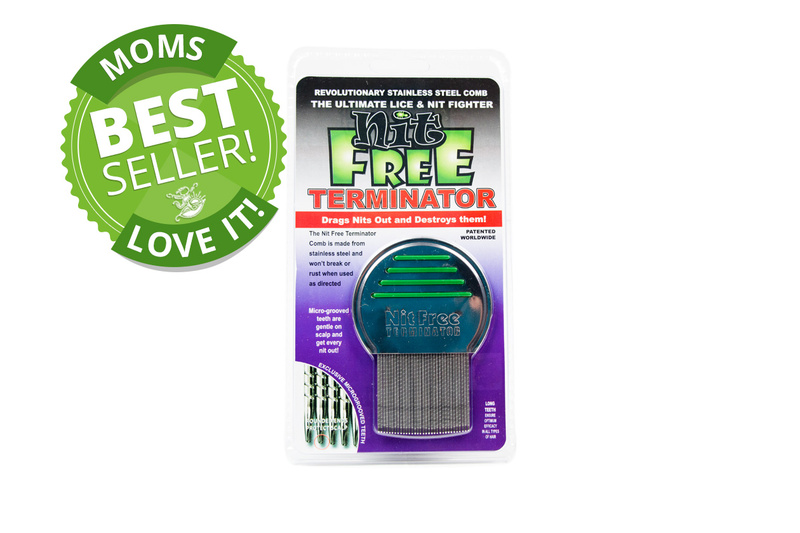 Listen closely parents–Every mother of school-aged children should have a TERMINATOR COMB. No other comb will do. I’m serious, it makes a huge, huge difference! As soon as you know your child has been exposed, start combing. Is it a nit or is it dandruff? Nits ALWAYS, I repeat, ALWAYS have the same shape. They are tiny, oval-shaped, hard and brownish (not white) with a small ‘tail’. They are really never white, especially once pull off the hair shaft. They are glued tightly onto the hair shaft, and will not come off or flake away easily. If you are unsure, you should probably schedule a head check. School nurses have seen it a hundred times, and will gladly check your child for free. Fresh Heads offers a really thorough head check for a fee if you are still worried. We always answer our phones and are happy to offer our best advice. Good Luck!! !